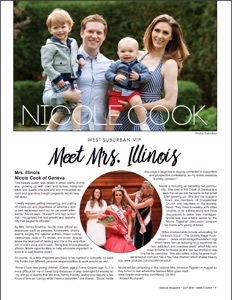 Mrs. Illinois-America 2018, Nicole Cook, was featured in July’s issue of Glancer Magazine! This beauty queen was raised in small towns of Indiana, growing up with cows and horses, riding dirt bikes and quads; she was shy and introverted, so mom and grandma thought pageants would help her debut. 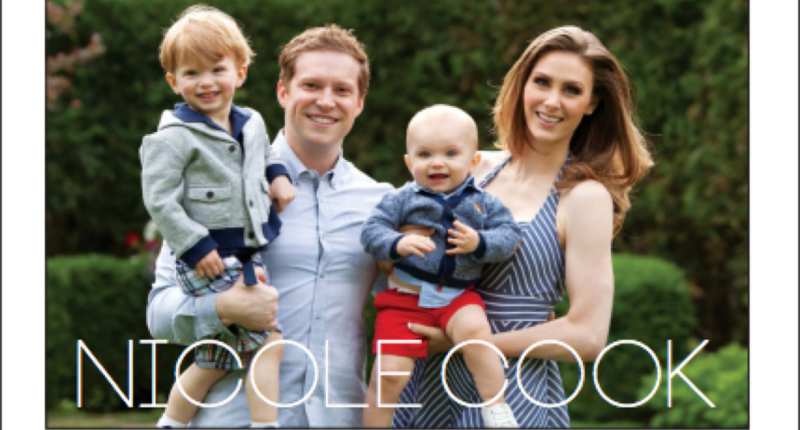 As Mrs. Illinois-America, Nicole does official appearances such as parades, fundraisers, charity events, singing the national anthem, ribbon cutting ceremonies, radio or TV shows, and more! She believes the best part of holding any title is the amplification of one’s voice and impact. 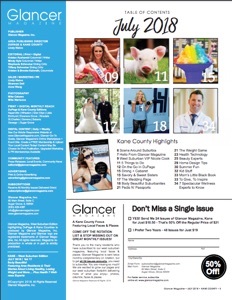 Being Mrs. Illinois-America affords Nicole opportunities to help advocate important issues to a vast diverse crowd. Or course, as a Mrs. Pageant, you have to be married to compete, so each title holder has different personal responsibilities to work around as well. Nicole is focusing on bettering her community. She lives in Mill Creek of Geneva and feels the values are the same as her small town growing up. She and her husband Grant are members of Chapelstreet Church and volunteer in the worship band. They meet bi-weekly with other couples to do a Bible study and have discussions to better their marriages. Nicole was also a table leader for the “Moms Together” discussion program for moms with young children. Other involvements include advocating for “Victoria’s Voice” – The Victoria Siegel Foundation (www.victoriasiegelfoundation.org) which takes “aim at reducing drug experimentation, addiction, and overdose death” which hits very close to home for Nicole as she lost her brother-in-law to a heroin overdose. She also writes a blog for www.modelmomsclub.com and has a YouTube channel which shares beauty tips. www.youtube.com/modelmomsclub. 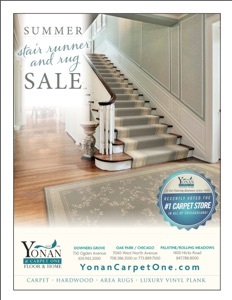 Check out the entire magazine here including a nice ad for one of our sponsors - Yonan Carpet One!